Inability to communicate your concerns to dentist while his/her hands are in your mouth. Sitting in the dentist’s chair for procedures can be hard on the body and has been known to contribute to body structure and cranial sacral issues. The above are just some of the reasons Stacey Mayo created energetic dental processes that are pain free and are done for you in your home, usually while you are resting or sleeping. 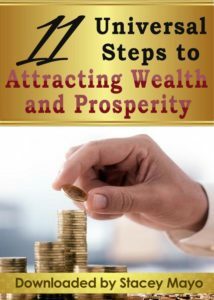 These proprietary processes are done by God in a way that is in your highest and best. Below are the dental processes included in this program. You can pick and choose which ones you need or desire at any time. Your mouth will also be scanned when you register and each day afterwards to find current issues as well as underlying issues that could cause you problems now or in the future and healing will be set in place for those as well. Please Note: Chronic or longer term issues take time to heal. Have your teeth energetically cleaned, flossed and polished, plaque, tartar, bacteria and/or other toxins removed while you sleep or rest. You won’t feel a thing. Seal your amalgams and cracks in your teeth to prevent leakage of mercury vapors or silver or other inorganic matter that could be toxic. Will also safely remove mercury and other metals from your body. Reduce plaque and gingivitis over time. Transform mercury and other substances in fillings that are toxic to your system into something that is safe for you. Plus Just About Anything That is Not Considered Emergency or Urgent! You and your family including pets can have dental cleanings and dental work done for you without having to leave home. Save $$$$$$ on dental bills. No drugs, x-rays or drills. You don’t have to figure out what alternative medicines and topical formulas are right for your own dental issues. It is done for you energetically, saving you money and side effects from choosing the wrong topicals for your issue or system. This program will heal physical, mental, emotional, spiritual and soul level issues associated with dental issues. 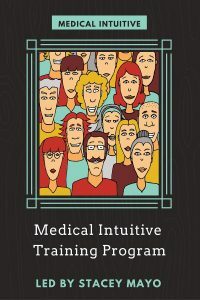 This program was created by Stacey Mayo, Master Level Medical intuitive and Teacher of Medical Intuitives and is intended to help you with dental issues and cleaning throughout this lifetime. 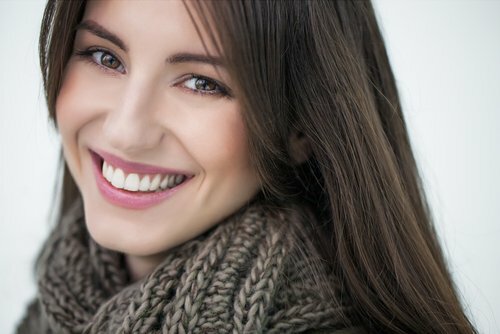 Stacey created a proprietary energetic scan that is done when you sign up to determine what the cause of your dental problems as well as what processes and energetic supplements and nutrients are right for you at the time.The scan is intended to find 100% of your current dental issues and set healing in place for them. You will also be provided with a simple way to send in your dental concerns (current and future) that you specifically want help with. 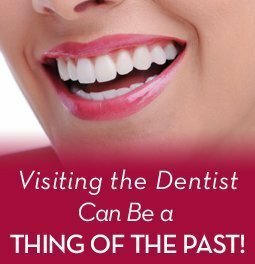 New energetic scans are done every day throughout this lifetime and every time you request help with a new dental issue. This program will continue for your entire life unless you request it be stopped at some point. The healing and scans are done by God via Stacey’s proprietary processes. Dental cleaning and polishing is usually done while you sleep or rest. It is typically done every night.The initial cleaning may continue for several weeks (a little bit each day) depending on the current condition of your teeth and gums. 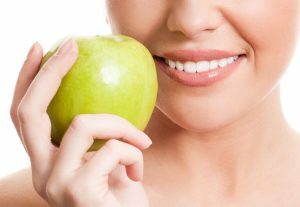 (This process is not intended to replace brushing your teeth or flossing unless your are unable to brush your teeth due to physical constraints.) It was created as an alternative to having your teeth cleaned and polished by a dentist. 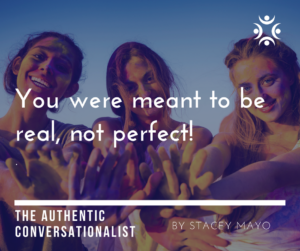 The purpose of this handout is to help you understand what is in the way of having authentic conversations and how to shift them so you can speak your mind without fear of being rejected, ostracized, and humiliated, etc. The steps are simple but subconscious fears can get in the way. Live Q and A’s to Answer Your Questions and Provide Helpful Information on Dental Health. You will be invited to live Q & A sessions to answer any questions you may have and provide you with education on ways to take care of yourself and your dental health, along with informative updates about this program. If you cannot attend live, you can submit your questions ahead of time so they can be answered on the call. The calls will be recorded. NOTE: All of my healing work has a buffer so it will not over-process you even if you are doing other healing work. This online program which can be taken by phone or Skype is designed to open up your skills and abilities and connect you to the Divine at high levels. Stacey Mayo will teach you a step-by-step process for accessing high level information for people and animals regarding their health challenges and steps to take to get well. You will learn to tap in and uncover the core issues causing any kind of illness. This includes beliefs, fears, nutritional deficiencies, chakra imbalances, spinal adjustments, past life issues, and other core issues that need to be remedied to restore a person’s health on all levels. When the body is back in balance emotionally, physically, spiritually and mentally and on the soul level, then their body can heal itself. 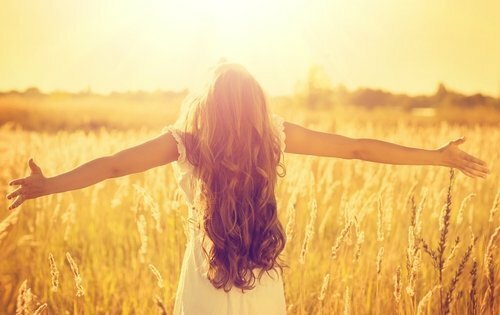 This Master Level custom activation will align you with yourself and open you up to feeling free to be yourself in a way that feels great and also safe. This bonus is great for people of all ages as well as pets. These processes are proprietary and done via distance healing by God. They will continue being delivered beyond the lifespan of the creator of this program, Stacey Mayo. You will be taken to a form after purchase to write down names of individuals and pets you purchased for and initial dental issues you want healing for. If you want to purchase this program for more than 1 persons/pets, simply change the quantity at checkout. Each person and/or pet you purchase for will receive the bonuses pertinent for them. If your jaw hurts, you have TMJ or suspect you clench or grind your teeth at night, it will wear away your tooth enamel and amalgams over time. It is important to heal this for your dental health, structure of your teeth and your overall physical, mental and emotional health. A jaw out of position can contribute to cranial-sacral issues and often does. Stacey’s proprietary distance healing program for these issues will be sent to you via god to heal TMJ, jaw problems and cranial- sacral issues with a combination of 2 special proprietary modalities that work while you sleep and during divine times that are right for you. This master level distance healing is done via God and is custom for your needs. It will continue for up to 6 months. 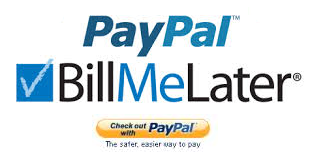 If more healing is needed beyond that, you will be given the opportunity to purchase more packages at this same price. If you want to purchase more than 1 six- month package of this program, simply change the quantity at checkout. Each person and/or pet you purchase for will receive the bonuses pertinent for them. You can purchase as many packages as desired at this price for yourself and others. This includes the dental program for life and TMJ Cranial/Sacral Program for 6 months plus all of the bonuses listed on this page. If you want to purchase for more than 1 person/pet, simply change the quantity when checking out. You CANNOT SPLIT THESE PACKAGES BETWEEN PEOPLE/PETS. You will receive a form after checkout to tell us who you ordered for and what dental, jaw or/cranial-sacral symptoms you want addressed. My teeth are cleaner and whiter and I do not feel like I need to go to the dentist for a 6 month cleaning that I previously scheduled. “Toward the end of last year I had a dental onlay done to one of my teeth by my dentist and the results were not good. After the dental work my “bite” was off and chewing with the right side of my mouth was painful. I was afraid to go back to the dentist in case the next adjustment would make it worse. I thought I would just have to chew with only my left side for the rest of my life. “I was quoted over $10,000 for dental procedures for replacing a bridge in my mouth and re-doing implants. As a result of using this program, I do not need to do any of this. The bridge has been energetically repaired and the decay around my lower teeth has healed. I am eternally grateful. “I went for a new x-ray yesterday for him to see that the bone is ready for the post implant. My dentist said, “There is way more bone than I expected to find!” He was shocked. This means I do not have to pay extra for a dental appliance which is saving me another $600. If you have questions email Stacey by clicking this link. IMPORTANT MEDICAL DISCLAIMER: The information on this site is NOT INTENDED or IMPLIED to be a substitute for professional medical advice, diagnosis or treatment. All content, including text, graphics, images and information, contained on or available through this web site is for general information purposes only. Please see a medical professional if you need help with depression, illness, or have any concerns whatsoever. WE DO NOT OFFER MEDICAL ADVICE OR DIAGNOSIS. Results shared are not typical. You may or may not experience anything from our services. These statements have not been evaluated by the Food and Drug Administration. These products are not intended to cure and we do not guarantee that your problems or symptoms will be healed with our products and services. The Center for Balanced Living, Inc. and Stacey Mayo do not take responsibility for your health and well-being. You are 100% responsible for your health and well-being. REFUND POLICY: We are happy to offer a hassle free, 30 day Money Back Refund Policy to our customers to help them decide if this program is right for you. Please note that chronic issues take a while to heal AND long term build up of excess plaque and tarter teeth takes more than 30 days to remove. Stacey Mayo is the creator of The Sentelligent Solution™ and Grace Healing Transmissions. 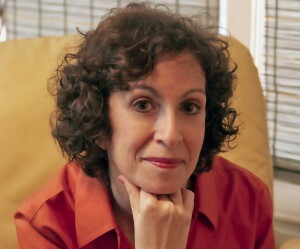 She founded the Center for Balanced Living in 1995 and has been in business for over 20 years. She has supported thousands of people in living out their dreams. She is a successful Master Coach, a Spiritual Teacher, a Certified Career Intuitive, a Sentelligent Medical Intuitive, teacher of Medical Intuitives and an Energy Practitioner.